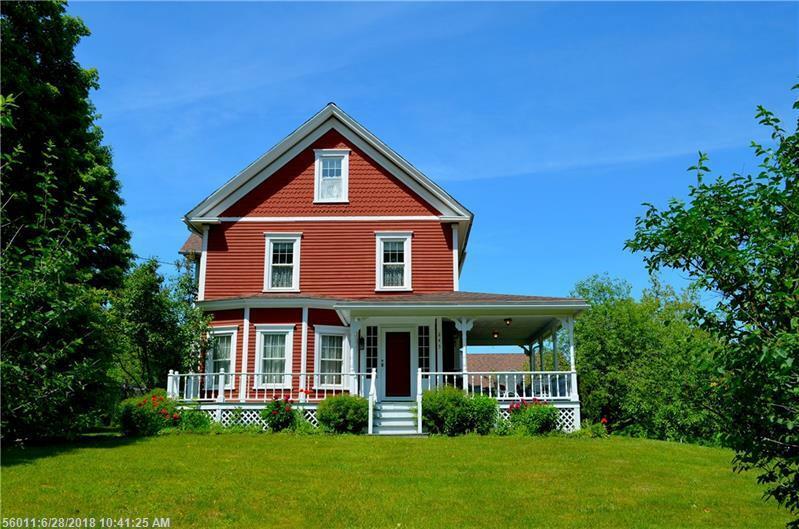 You will love this beautifully kept Victorian home with many updates and close to everything in Presque Isle. Get ready to enjoy the outdoor spaces! Imagine entertaining friends and family poolside on a warm summer day. Relax rain or shine on the private wrap around outdoor covered porch. Fine bright and open style kitchen and kitchen island with Garland gas range. Some appealing features include maple hardwood floors, elegant woodwork, formal dining, a cozy den/reading room with custom bookcase and central air conditioning! A floorpan with clear spaces and lots of light and flow. Third floor finished attic family room offers extra living space. Elegance and privacy combine in this stylish home in the Star City of Aroostook.